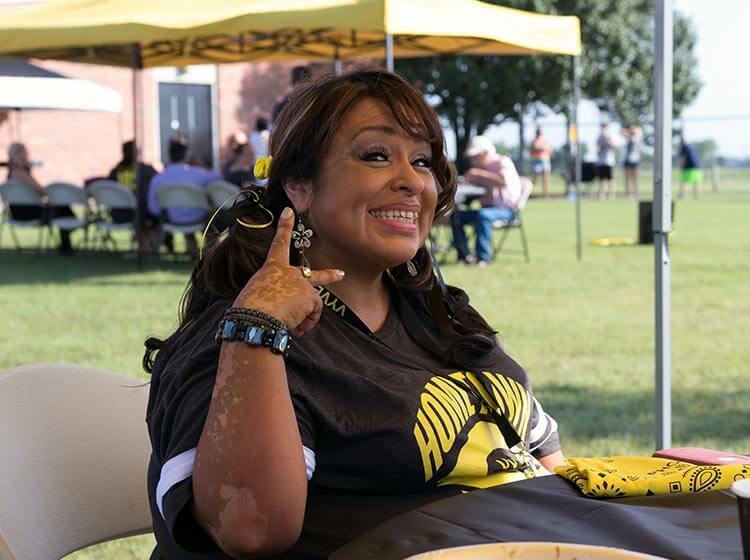 At Vyve Broadband, Shawnee isn’t just our home. It’s our hometown. It’s our lifeblood. It’s who we are as people. It’s home to our regional headquarters, our call center, our office on Saratoga, our network hub serving thousands of homes and businesses nationwide, and home to over 100 Vyve employees and their families and friends. 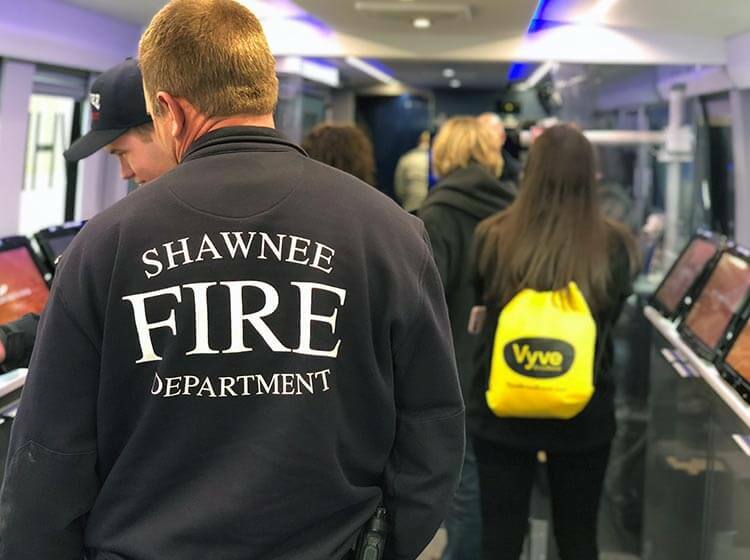 At Vyve, we believe Shawnee deserves access to the same connections that you find in the big cities across America. 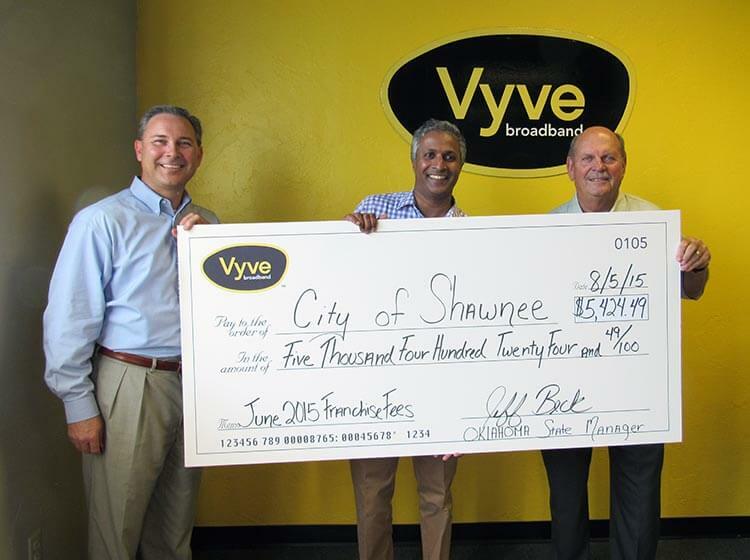 That’s why we’ve invested over $100 million dollars in our network to bring Vyve Gig Internet service to Shawnee. Not only is Vyve the fastest, we were also voted the Reader’s Choice for Internet Service Provider in the Shawnee News Star Reader’s Poll! 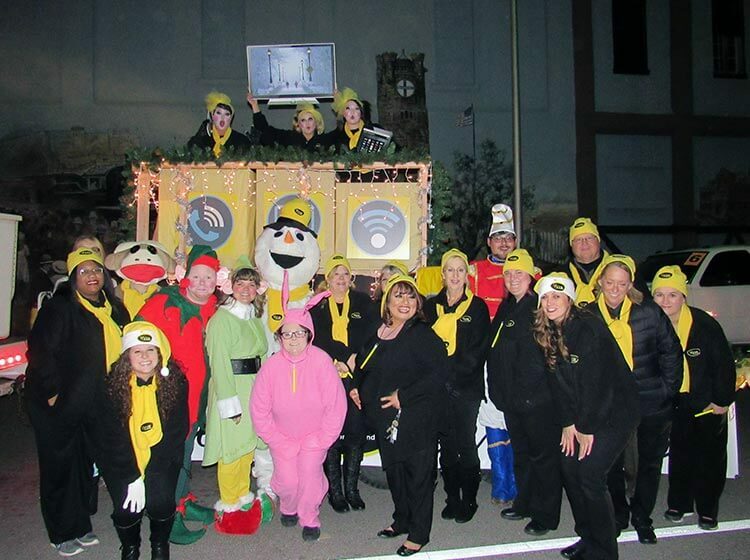 Spreading the Christmas cheer Vyve style at the Shawnee Christmas parade! 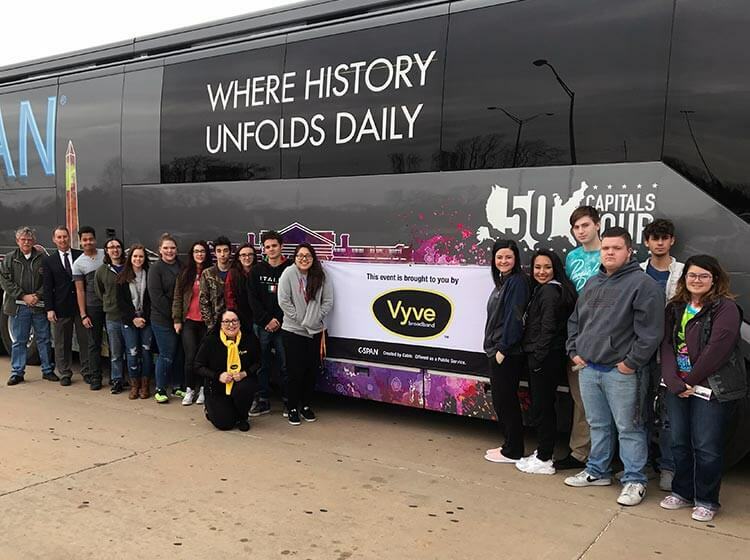 Vyve brought the CSPAN 50 Capitals Tour bus to Shawnee for students and teachers to experience. 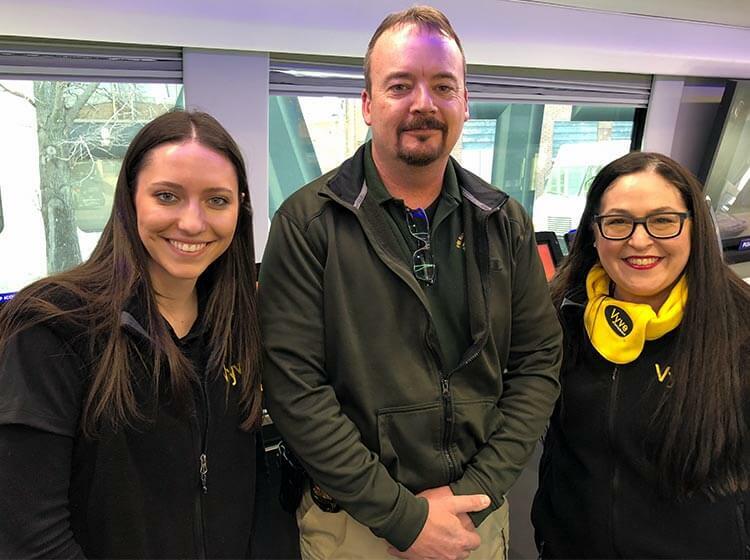 For us, it’s not just about the ‘services;’ it’s about service and giving back to our community. 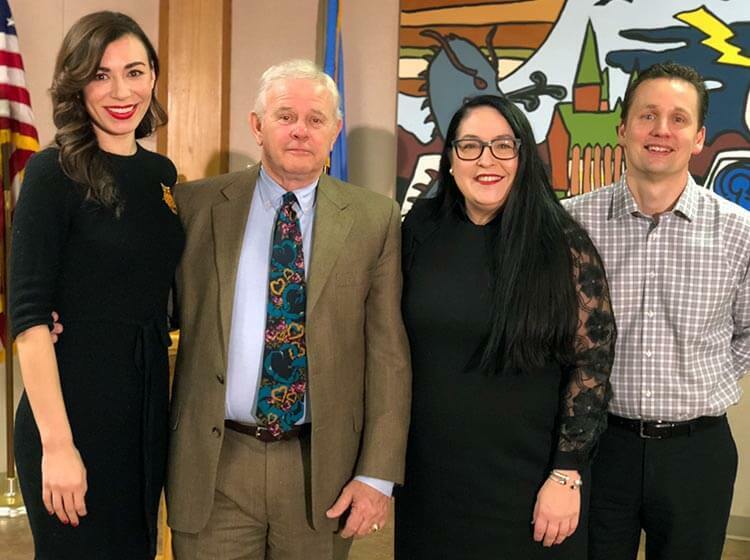 Vyve brought Shawnee and its rich heritage into the national spotlight this year through our partnership with C-SPAN. We donate to the local VFW Post 1317 and offer free WiFi at community events like Boo on Bell. 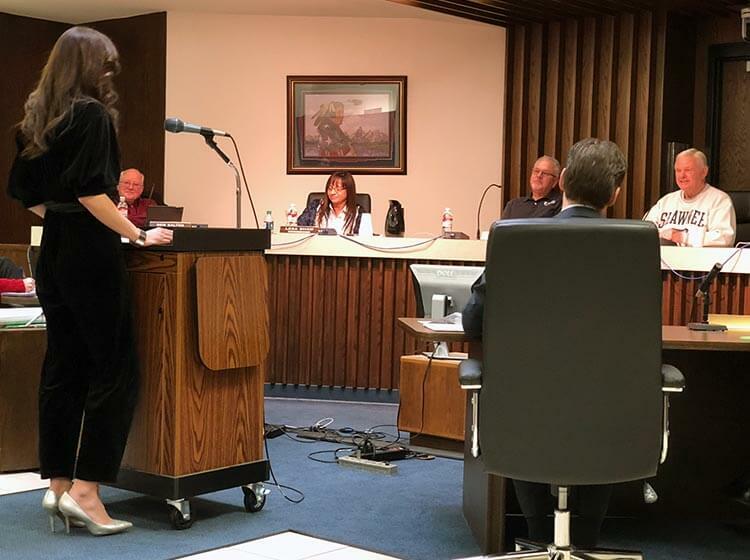 Since we came to town, we’ve launched programs like Create our Christmas Card Art Contest, Friday Night Vyve Player of the Week, and Vyve Teacher of the Month. 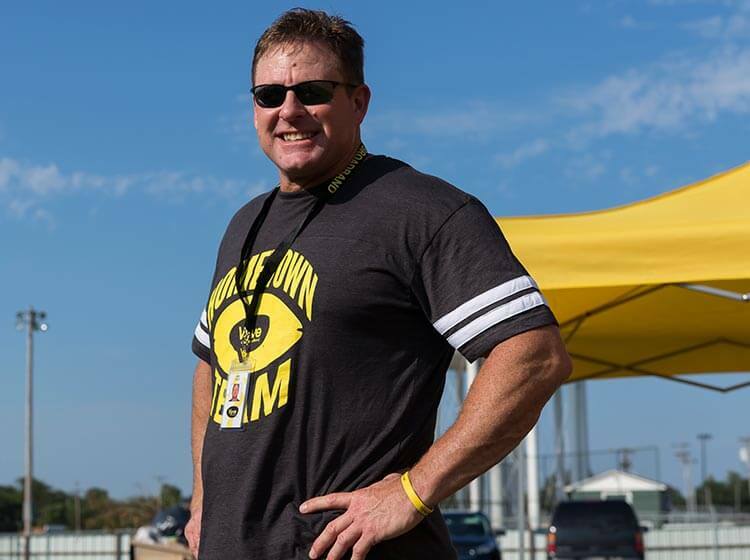 Our goal is to engage creative minds in Shawnee schools, recognize athleticism and sportsmanship, and reward Shawnee teachers for their dedication. 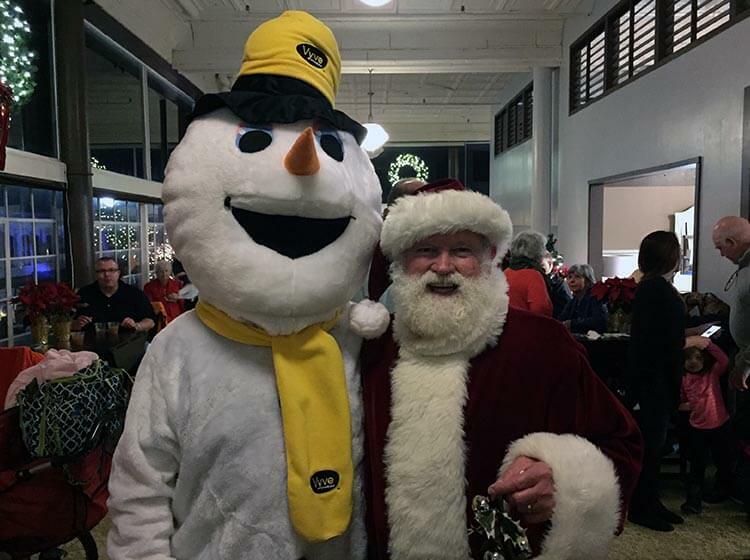 We’re a proud supporter of SEFF, and we’re coming up on our 5th year as the Title Sponsor of the Christmas Parade, where we look forward to giving Santa a ‘lift’ in our bucket truck each year. 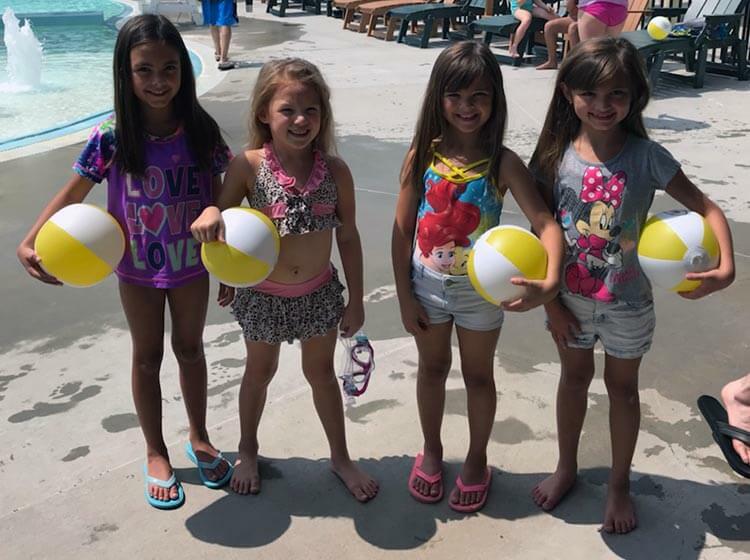 Last splash of summer with Vyve at Shawnee Splash! 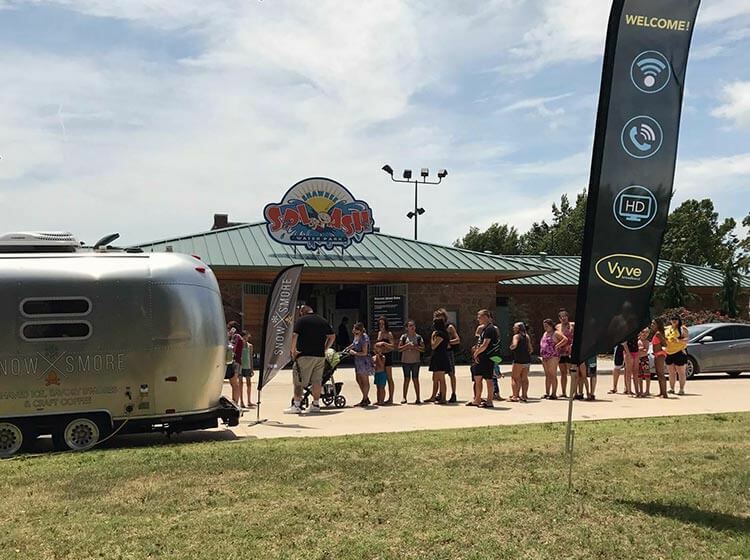 We gave out free ice cream and Vyve beach balls to celebrate the summer coming to an end. 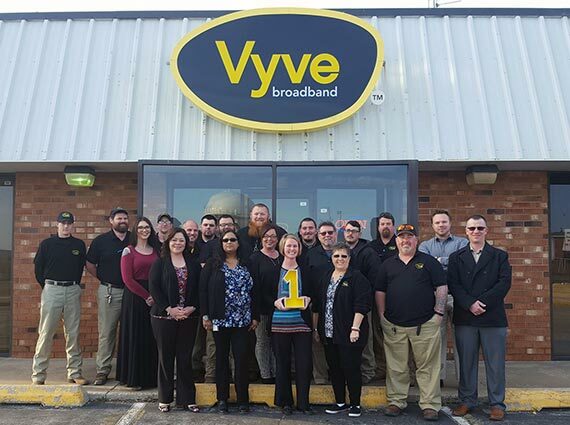 Vyve was voted Best Internet Service Provider in Shawnee! 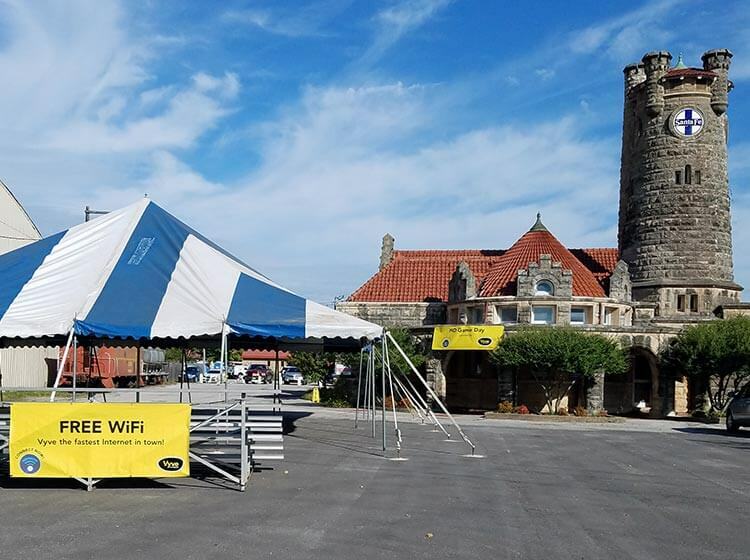 We’re members of the Shawnee Chamber of Commerce and support our local businesses with the fastest Internet, most advanced phone services, and access to free WiFi hotspots for their guests. We just celebrated our newest ‘Hotspot’, Shawnee Splash, with a Random Act of Vyveness, giving away free ice cream and beach balls. You can also cruise the fastest Internet in town next time you get your oil changed at Fred’s Tires – also a ‘Hotspot’. NO ONE loves Shawnee like we do, because we know our hometown strength. 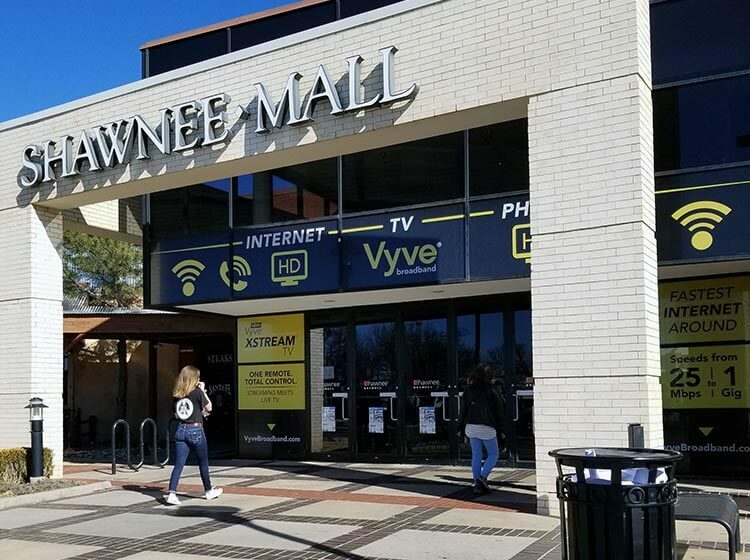 We like to paint the town yellow, that includes the Shawnee mall too! 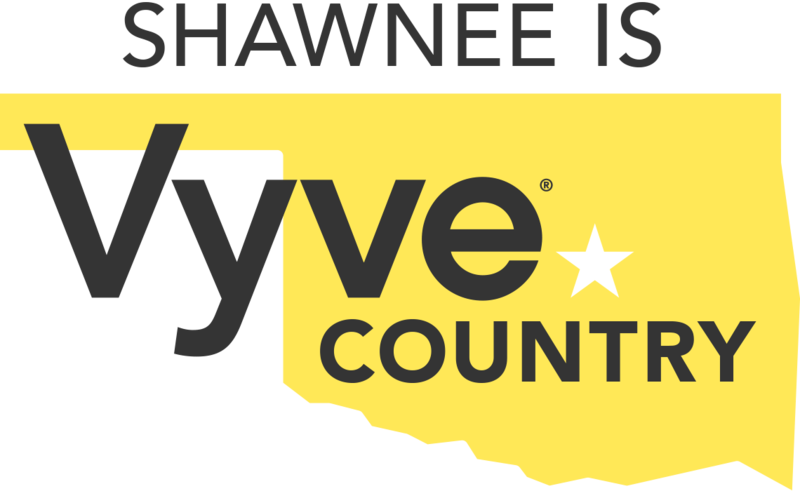 Vyve is proud to invest in Shawnee! 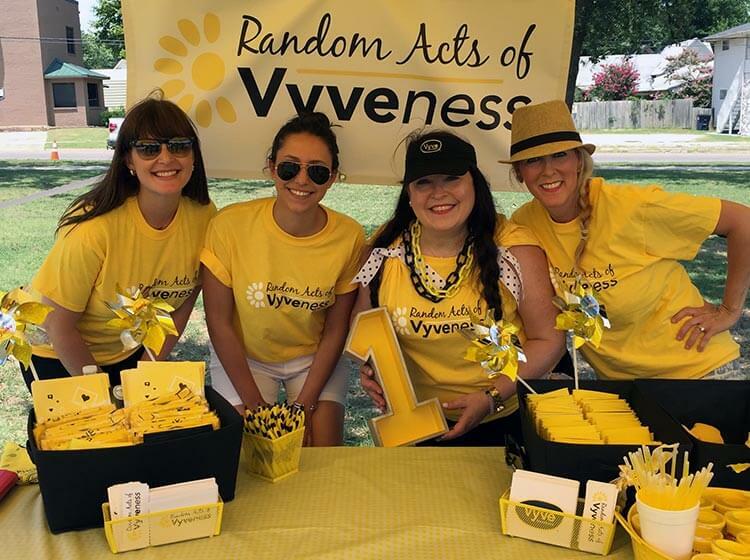 We helped Shawnee residents cool down with some FREE refreshing snow cones at Shawnee Splash as a Random Act of Vyveness. 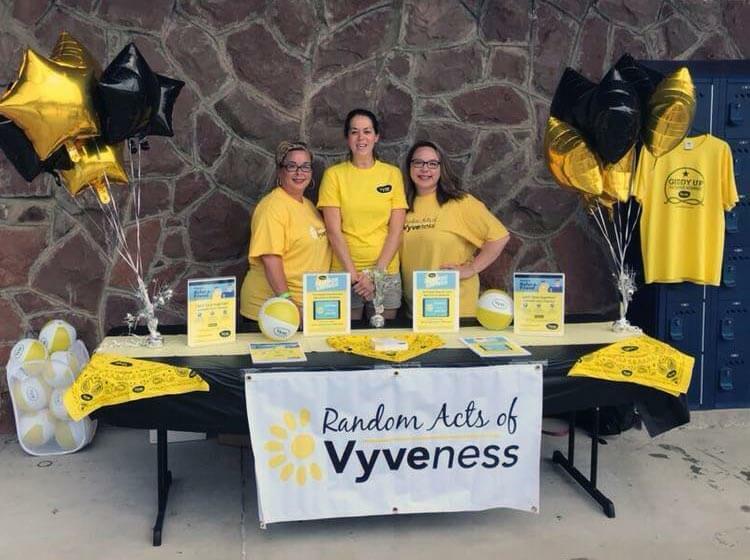 Vyve is proud to continuously host Random Acts of Vyveness around Shawnee to show our appreciation for the community. 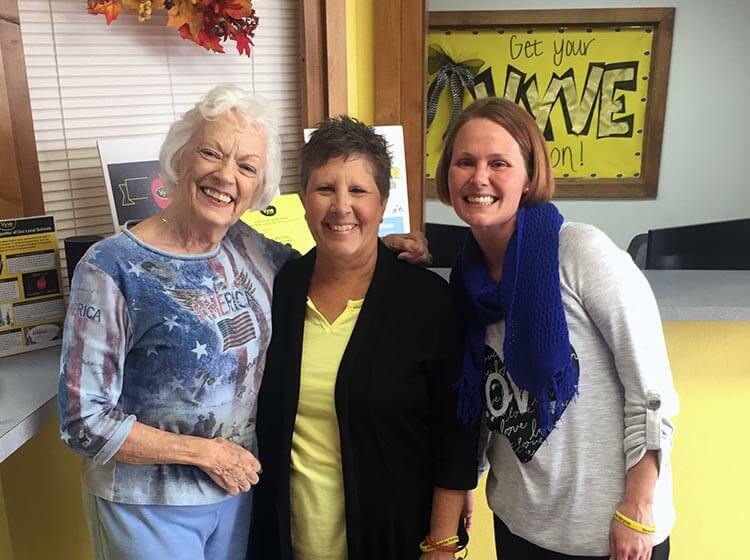 Swing by our local office to say hi to these ladies! They can help you with all your Vyve needs. The yellow sign says it all! 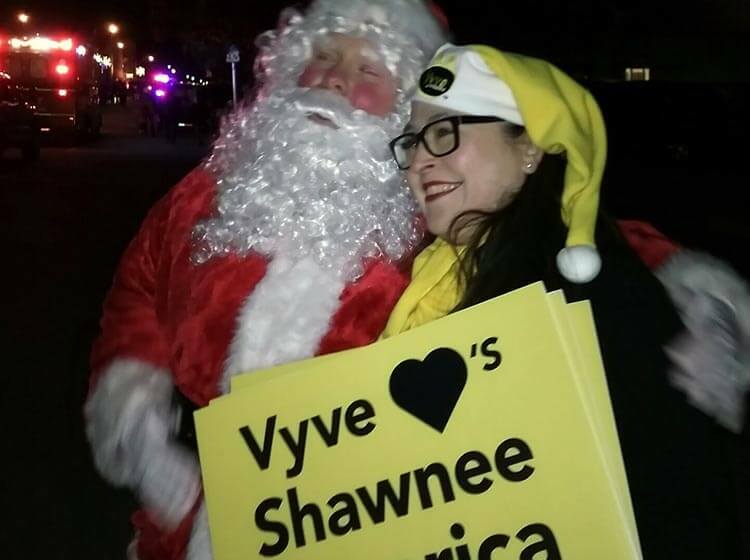 Vyve loves Shawnee and we are happy to engrain ourselves in the community. 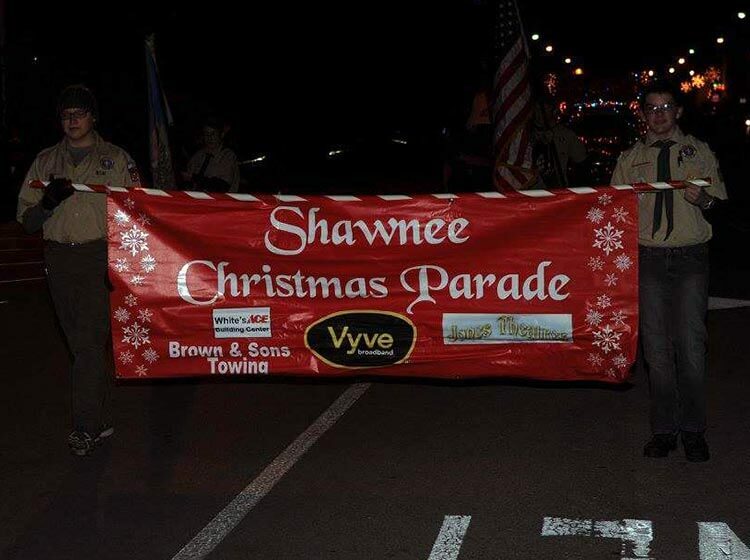 Vyve is proud spread the Christmas Cheer in Shawnee and has been the main sponsor of the Shawnee Christmas Parade for 4 years in a row! 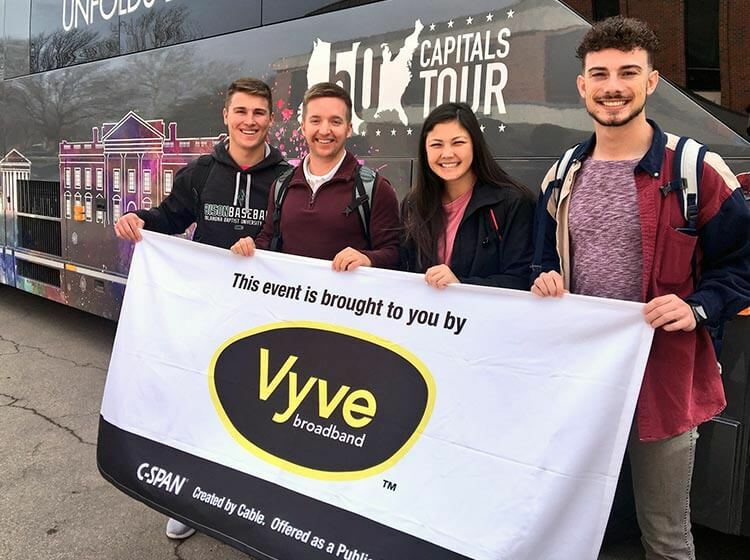 Vyve brought the C-SPAN 50 Capitals Tour Bus to Shawnee and Tecumseh! 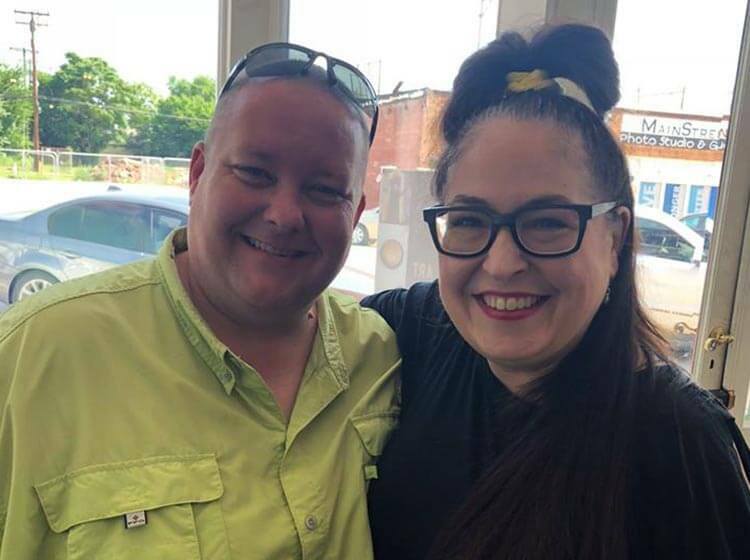 We love bumping into our friend Dell as we’re getting our morning coffee at The Gathering Place. Mayor Finley here and our friends at CSPAN who filmed segments on the history of Shawnee. We love the Ritz Theater in downtown Shawnee! 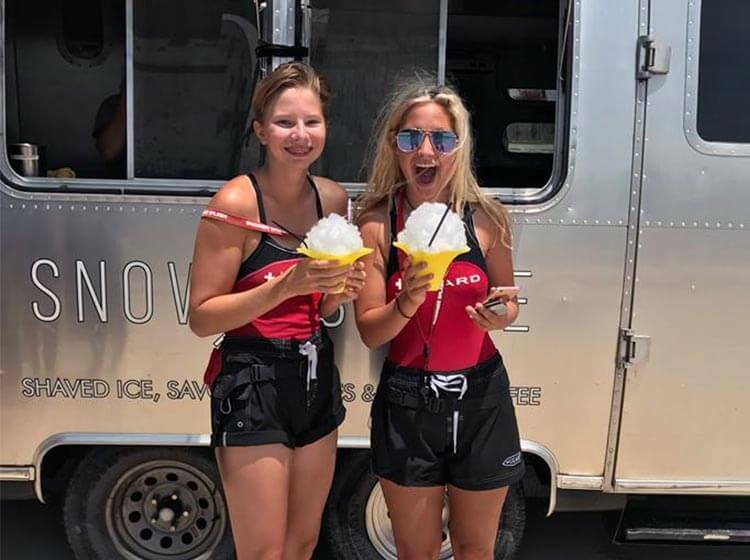 The Shawnee Splash Lifeguards loved our FREE yellow snow cones! 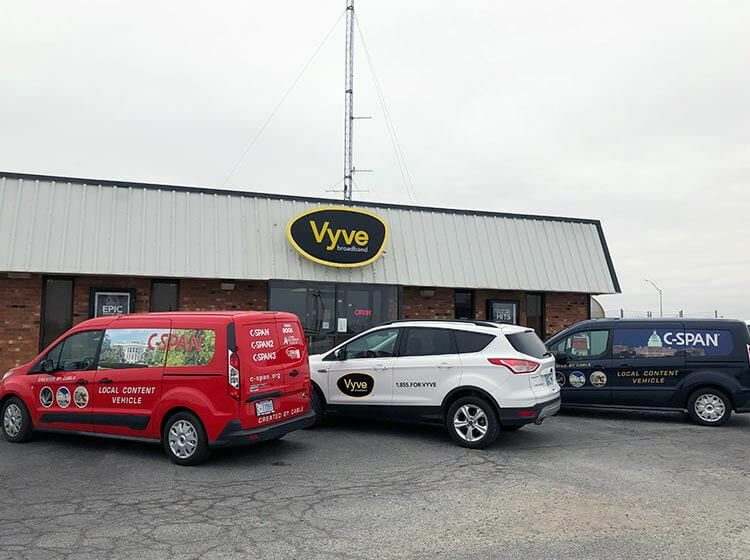 Vyve loves the Shawnee Fire Department! 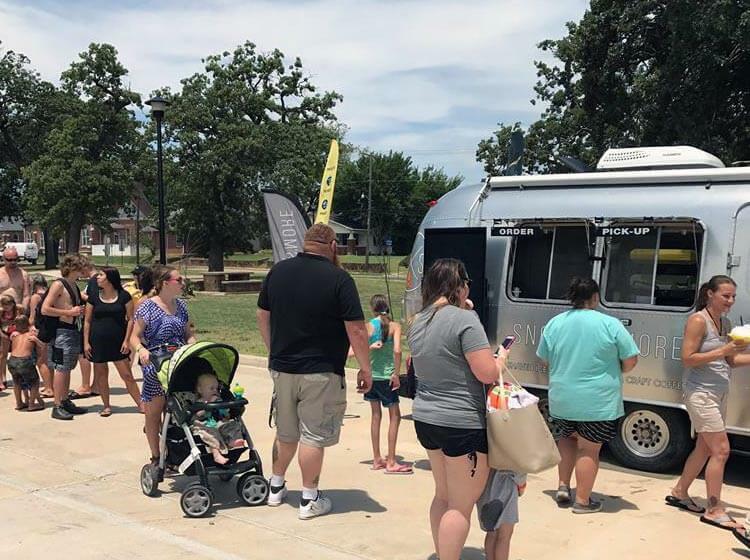 Shawnee local lining up to get some FREE yellow snow cones. 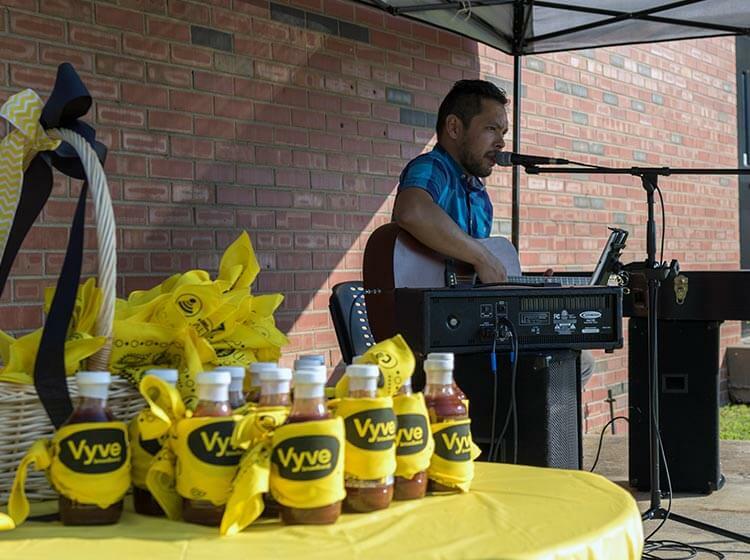 Vyve loves sponsoring events in Shawnee like Planes, Trains and Automobiles. C-SPAN and Vyve hosting a press conference for the C-SPAN Cities Tour! The Shawnee Chief of Police came to check out the C-SPAN 50 Capitals Tour Bus! 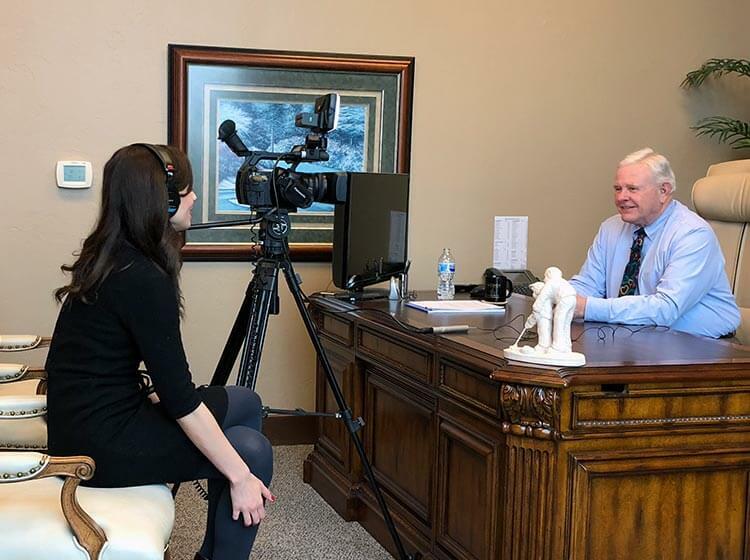 Vyve brought C-SPAN to Shawnee! 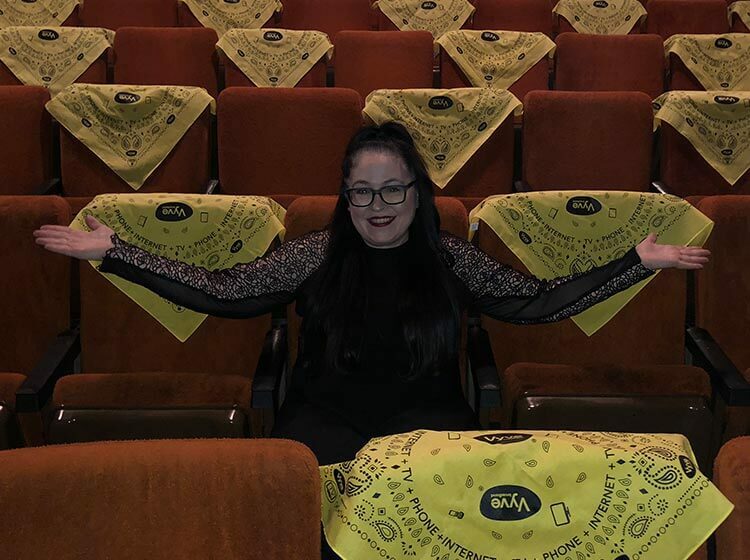 Our employees wear Vyve yellow with pride! It’s the most wonderful time of the year! 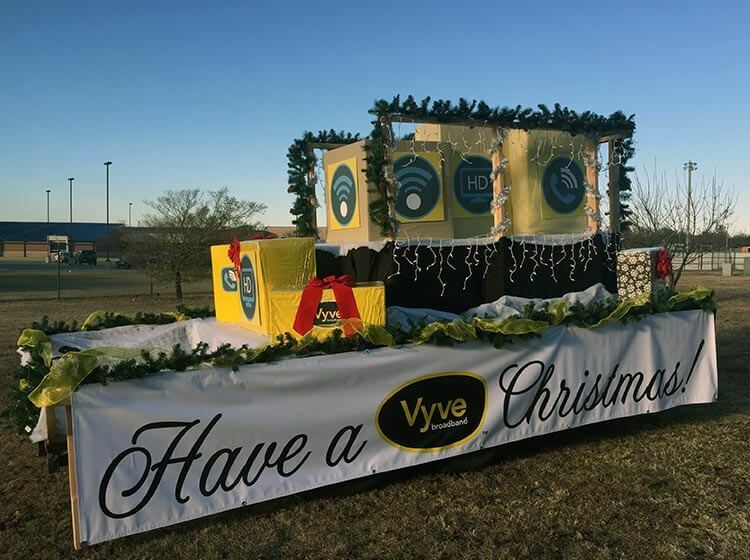 Vyve loves sponsoring the Shawnee Christmas Parade. 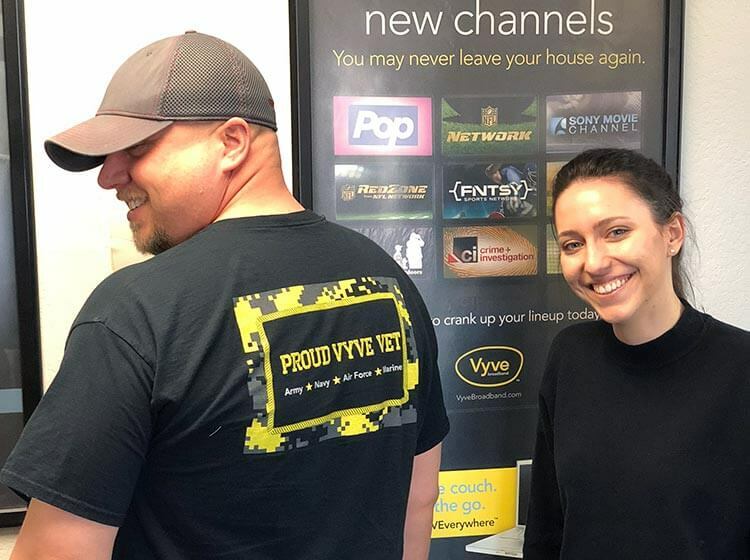 Vyve employees love getting involved in the community. See any of us around town? Come say hi! All smiles in Shawnee during Christmas time! Being local is part of Vyve’s DNA. 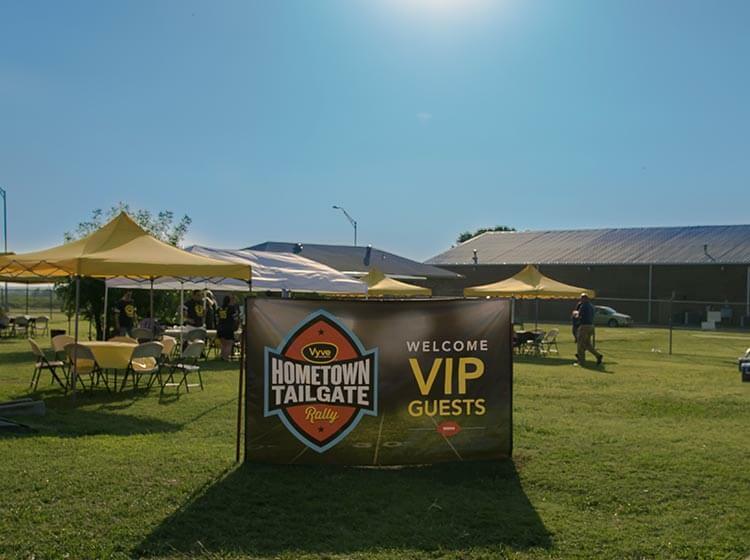 We have the best time sponsoring local events! We love our Vets here at Vyve!